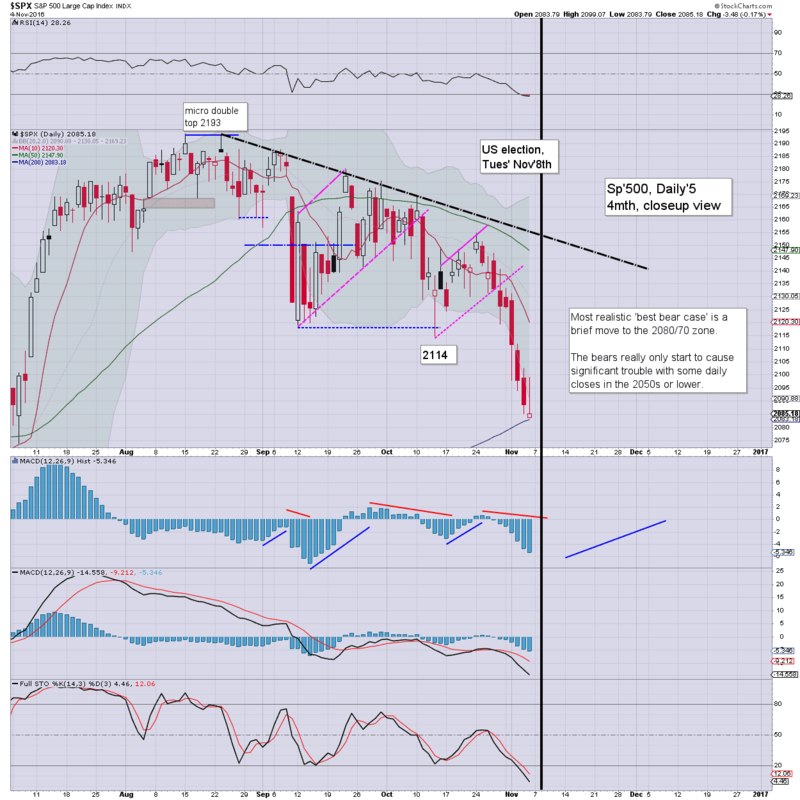 US equities closed moderately mixed, sp -3pts @ 2085 (intra low 2083). The two leaders - Trans/R2K, settled higher by 0.3% and 0.6% respectively. VIX settled +1.9% @ 22.51. 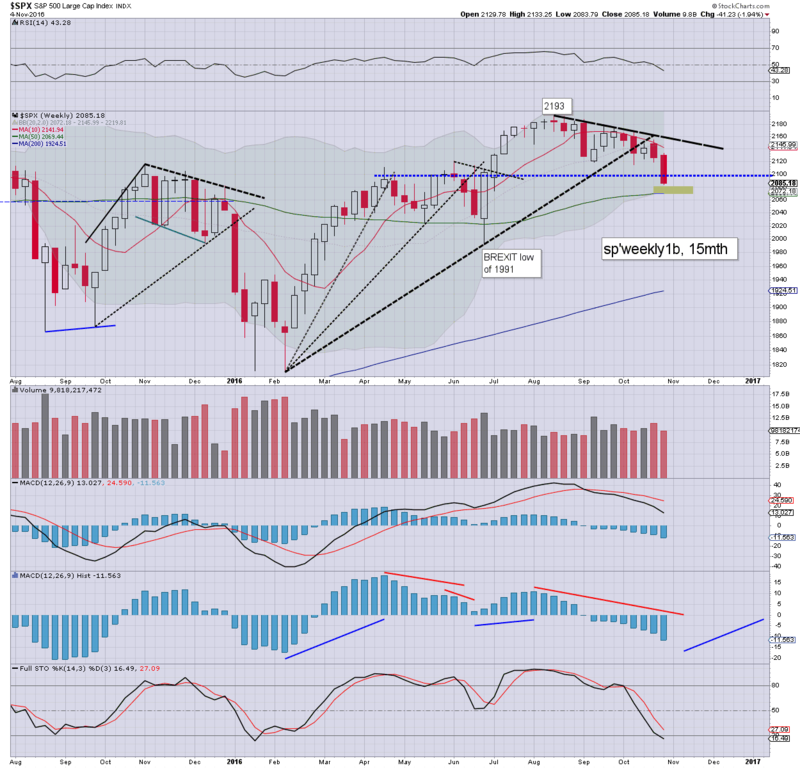 Near term outlook threatens another wave higher to 2110 early Monday, but with broader downside into Tues/Wed. US equities opened to sp'2083.79, but did put in a rather clear opening hollow-red reversal candle. The subsequent bounce to sp'2099 was very muted though, and there was some renewed sellside pressure into the weekly close. Naturally, few traders were interested in going long ahead of the weekend, along with the even bigger issue of next week's election. For many, its a case of 'sit it out' until next Wednesday morning. 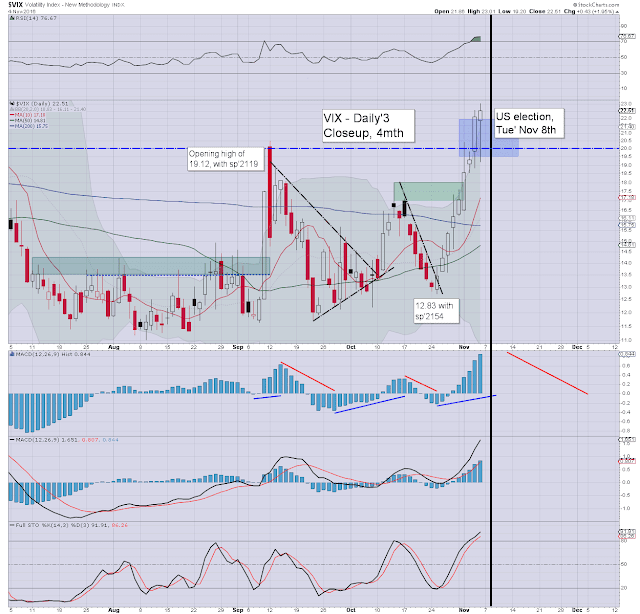 VIX remains notably elevated, holding comfortably above the key 20 threshold. Indeed, today was the ninth consecutive net daily gain for front month volatility, which is (I think) the most bullish run... ever. Clearly, the VIX will remain high into the Tuesday close. 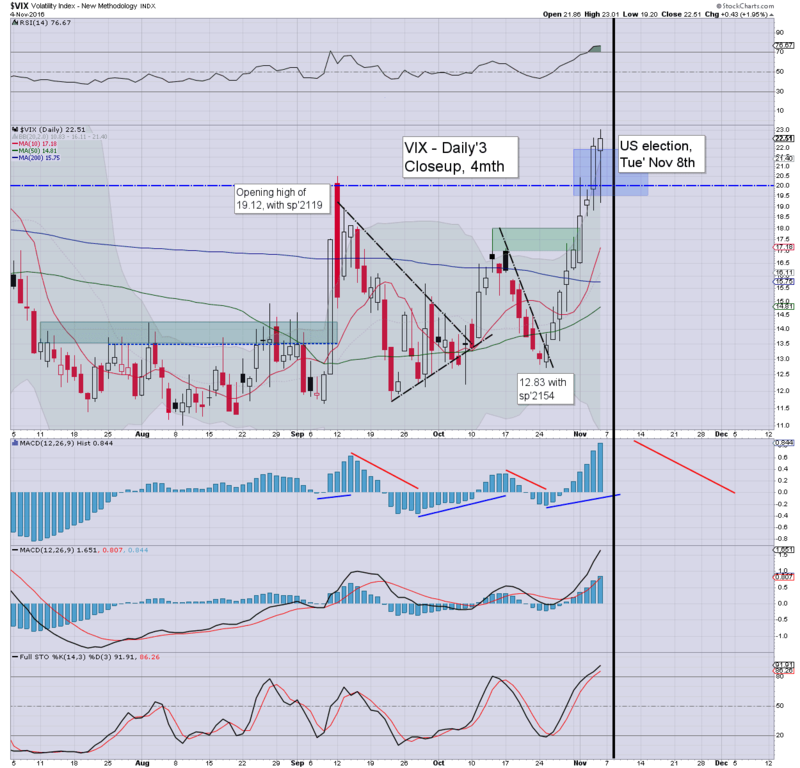 Right now, if Trump does win - as I believe he will, VIX will be vulnerable to spiking to around the 30 threshold. 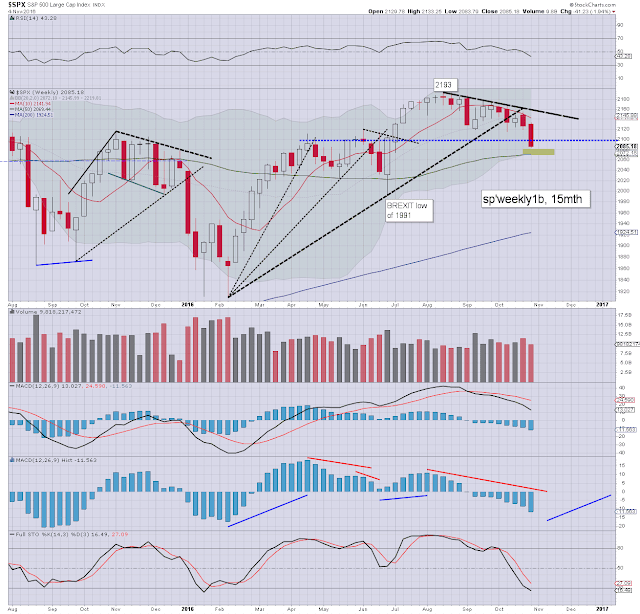 A significant net weekly decline of -41pts (1.9%), settling at 2085, notably below the 2100 threshold, and the monthly 10MA.